Our health and care needs are changing, with more people living longer often with multiple long term conditions. 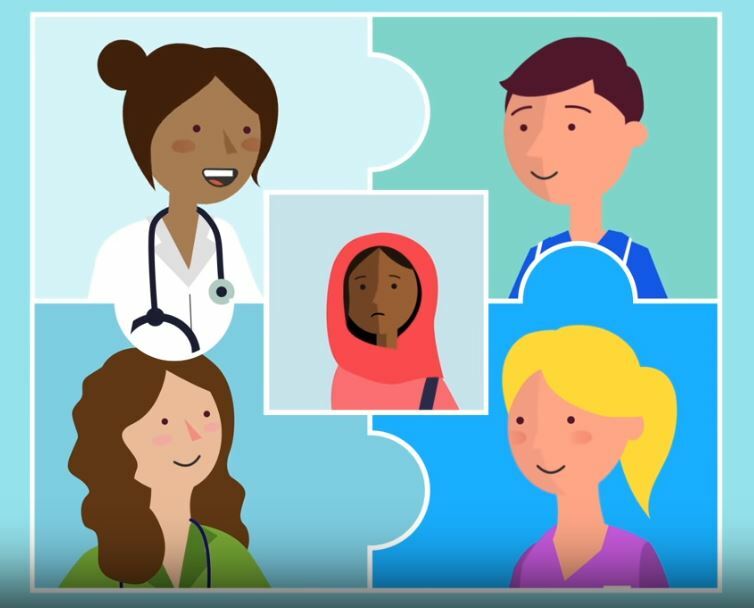 This new animation, launched by NHS England, explains the challenges facing the health and care system and how partnerships are being formed between the NHS, local government and the third sector to integrate care and better meet our health and care needs now and in the future. Plans for construction of a single new building to house both Berryfields Medical Centre and Meadowcroft Surgery are being proposed as part of a vision to improve access and offer more GP services for patients in north-west Aylesbury. This planned new building would hopefully be completed in two to three years, to help meet growing healthcare needs in the area. The Berryfields Medical Centre has operated in temporary accommodation in Buckingham Park ever since it was founded, more than a decade ago. It was always planned for the practice to eventually move to the area of the Berryfields development. The Meadowcroft Surgery building in Jackson Road was built in 1991 and is now approximately half the size needed for the number of patients it serves. The site cannot be redeveloped while practice services keep running, and there is not enough space to extend it. The proposal is for a new building in Berryfields. This would be at the roundabout intersection between Martin Dalby Way and Paradise Orchard. The site would have adequate car parking and would be accessible by bus and cycle routes. This site is 0.8 miles from the current Meadowcroft Surgery building and 1.5 miles from the existing Berryfields Medical Centre. This proposed new building would house both practices; the two teams would work closely together but remain separate. They aim to provide a resilient, imaginative and efficient service, with increased facilities for patients. Existing patients would continue under the care of their current GP and practice teams. The practices, and Buckinghamshire Clinical Commissioning Group (CCG), are inviting patients to help with the planning ahead. They want to identify future service needs for the population and to explore ideas for a new building. Both surgeries will be scheduling public involvement events in the coming weeks, with dates to be confirmed shortly. Dr Raj Bajwa, Clinical Chair of Buckinghamshire CCG, said: “The building of permanent premises for Berryfields Medical Centre is a priority for the practice and for NHS Buckinghamshire Clinical Commissioning Group. We recognise the future housing growth in the area requires a fit-for-purpose primary care facility to serve all the neighbouring communities.